Winfoor is a spin off from the Lund University, Sweden. Behind the company is a multidisciplinary group of researchers from the fields of mathematics, fluid mechanics and structural mechanics. The team is passionate about taking new scientific research results to new and better technologies for the wind power industry, and to accelerate the transition to greater use of renewable energy worldwide. Winfoor is a forerunner within the field of rotor blade technology. Our flagship product, Triblade, is a disruptive technology for large scale wind turbine rotor blades. The unique technology is a 3-in-1-blade that dramatically reduces the cost of production and transportation, and makes blades much lighter. Wind power is a fast-growing renewable energy source in Europe, where it is estimated to have accounted for over 10 % of the total electricity production in 2015. It is the second largest renewable energy source after hydro energy and offers the potential to deliver renewable electricity on a scale that would contribute significantly to the 2020 and 2030 EU renewable energy targets. Although it is one of the most cost effective renewable energy sources, it is capital intensive and reducing cost of energy is top priority for the wind power industry. 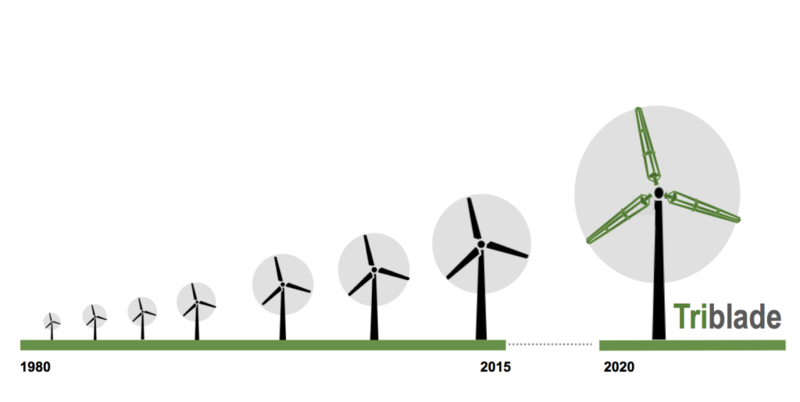 A long-standing trend is that wind turbines get bigger and bigger. Up to 30% of the turbine cost is the rotor cost alone and more than half of that is material. Furthermore, there are major problems associated with transportation and production of blades and these problems grow with the blade length. With Triblade, we can make blades much lighter, we can make blades longer, and we can dramatically reduce cost of both production and transportation of rotor blades, thereby reducing the total cost of energy for wind power. The global wind turbine rotor was valued at US$10 billion in 2013 and is projected to reach a value of US$33 billion by 2025. Alessio D’Alesio, Head of Blade Development VESTAS Blades. Daniel Nies, Department Manager, Blade Engineering, Aerodynamics & Structural Mechanics (BAS), Nordex Energy GmbH.